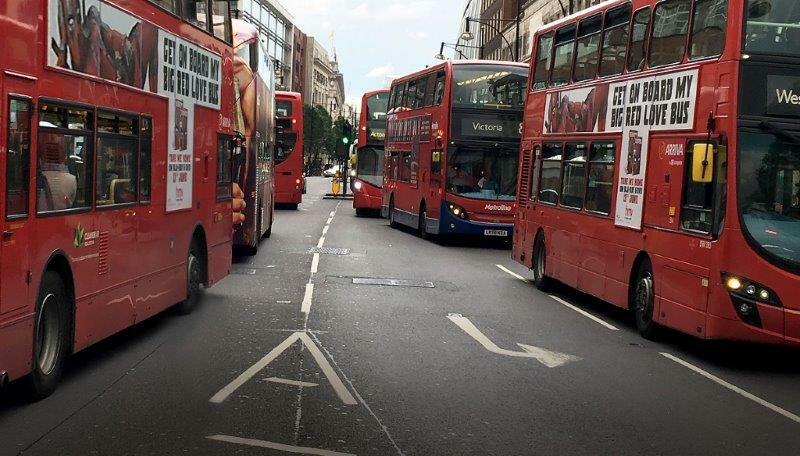 With air pollution hitting the headlines and London’s new mayor pledging hard hitting measures for cleaner air, GEZE UK is urging retailers, architects and specifiers to “do your bit” when specifying entrance systems to keep pollution ‘out’ and the benefits of air conditioning ‘in’. As the primary sponsor of the Close the Door Campaign, GEZE UK is keen for retailers to “help themselves, customers and the wider public” by keeping shop doors closed as we move into the heady summer months. A report by Public Health England (PHE) has shown that pollution shortens the average Briton’s life expectancy by six months, and that one in 12 deaths in some parts of the county – a staggering 30,000 a year – can be partly attributed to poor air quality. It is in our cities that air pollution levels are at their highest – bad news for city shopping centres – as temperatures increase during the summer months, the risk of smog is likely to soar. London’s new mayor, Sadiq Khan, has said that he wants to be “the greenest Mayor London has ever had” and aims to improve the capital’s pollution problems by pedestrianising popular shopping areas such as Oxford Street and increasing public spaces, “crucial lungs for the city”. But in addition to these plans, simple practical measures can also make a big difference. Independent research from Imperial College and Kings College London found that closing the door reduces airborne pollution in shops by a third – minimising levels of three airborne pollutants - PM2.5, black carbon and NO2 - during working hours. Poor air quality particularly affects those with underlying health problems including respiratory illnesses like asthma or COPD (Chronic obstructive pulmonary disease) as well as cardiovascular conditions which leads to spikes in ambulance calls during the summer. In addition, city centre shops also suffer from their proximity to traffic and related congestion. Diesel exhaust emissions have significant impact and has been classified by the World Health Organisation as a Group One carcinogen. Kaz Spiewakowski, managing director of GEZE UK explained that specifying the right door for a refurbishment or new build will help retailers improve air quality in their stores and contribute to energy efficiency by allowing air conditioning systems to work more effectively. “This is clearly a significant issue which is currently hitting the headlines as campaigners and politicians battle to manage the wider issues which affect our environment. But we must all play our part and make our shopping and work environments safer and more pleasant environments by ensuring that the correct doors are fitted and remain closed during the summer months,” he said. "Air quality across UK towns and cities is now routinely poor. Most of our air pollution comes from diesel emissions, a Group 1 carcinogen with no safe level for human health. This pollution is largely invisible, tasteless and odourless. UK deaths from air pollution are at 30,000 annually and rising; a stark figure in comparison to 1,700 annual road deaths. Many of these deaths are associated with spending time on or near roads. Serious chronic illness is a future threat for thousands more. Shops with their doors open to the road present a serious and avoidable danger to the health of their staff and customers. For more information about GEZE UK’s comprehensive range of automatic operators and manual door closers call 01543 443000 or visit www.geze.co.uk.